If you or anyone your know plays fantasy football on ESPN.com, then this is the gift to get. Just plug the single USB cable into your Windows or Mac computer and unfold the 7-inch touchscreen monitor and voilà! Instantly, you have a second monitor that works out perfect for monitoring FantasyCast or even streaming live games via ESPN360. 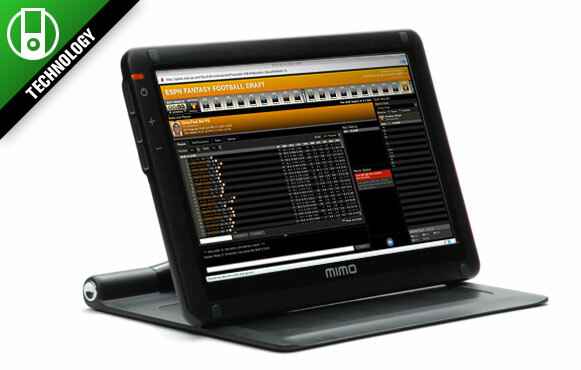 Because it's also a touchscreen, you can keep the Mimo on a coffee table or desk and quickly tap through games to see scores or track who's in the red zone!